Ladder Panels offer very low-profile 1913 Picatinny rail coverage. 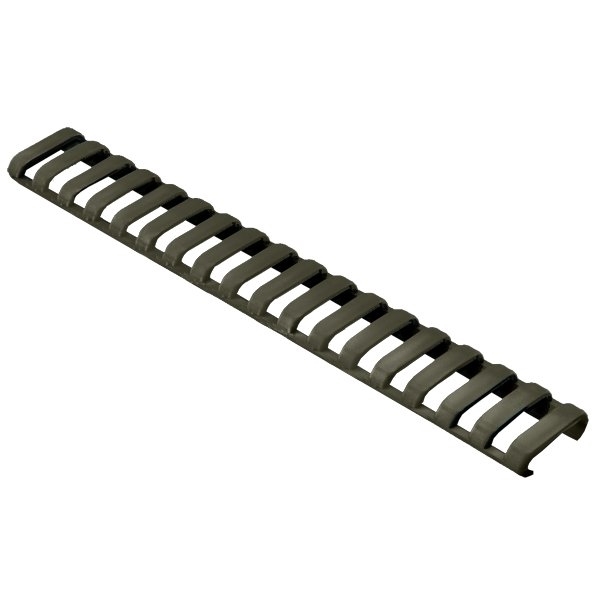 The Santoprene material provide a rubbery surface for improved weapon control and rail protection. Easily cut for custom lengths, each panel fits one side of a carbine-length rail (18 slots). One panel per package. Manufactured by Falcon Industries, Inc.